Originally written for the Blue Ribbon Flies blog, this essay questions one of flyfishing’s most trusted articles of faith. 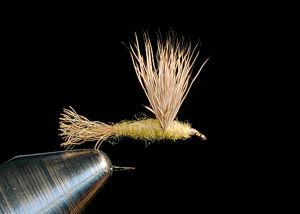 There are certain beliefs inherent in the sport of fly fishing, and one of the most closely held says that fly pattern matters. Matters in terms of success. We believe that our choice of fly is responsible for the fish that we catch, and that if we can merely find the right fly, our success will know no bounds. But does it really work that way? Is our choice of fly that critical? Good question. In order for fly pattern to matter, to be the sole factor behind our success, it must first be made the limiting factor. By that I mean all other variables are accounted for. 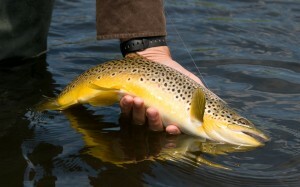 For instance, imagine that we’re fishing to a feeding trout on the Madison River. For our fly to matter, several things have to happen. Our approach to the fish must go unnoticed. Our cast has to be accurate and timely. The fly must be generally free of drag (unless intentional). In short, we have to fish flawlessly. Only then can we attribute success or failure directly to fly pattern. If any of these variables (or numerous others) are not accounted for, we simply can’t say definitively that our fly is making the difference. (Well, we can say it, but we’d be wrong.) And herein lies the rub. 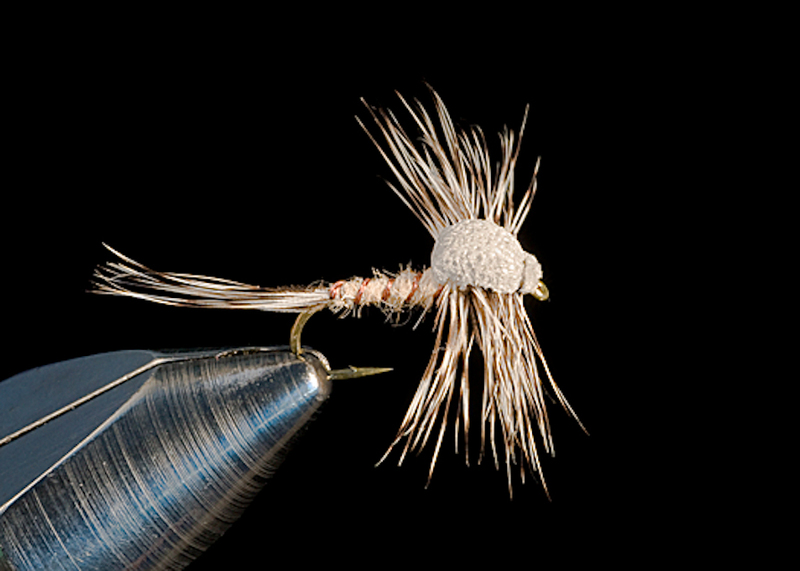 Very, very few anglers possess the skills and ability to make the fly the limiting factor. If on a regular basis you are doing this, congratulations. You are operating in rarefied air—air reserved for the masters of this sport. Most of us haven’t attained that level, which means that some other aspect of our fishing—casting, usually—is compromising our success. Am I suggesting then that we simply fish whatever fly we want, whenever we want? Of course not. There’s more to it than that. While we may not own the skills to make the fly the limiting factor all the time, the flies of average anglers will still act as the limiting factor some of the time. Here’s how. If we accept the premise that casting skill is the primary limiting factor for most amateurs (a premise virtually all professionals accept), it will be no surprise that during a day’s fishing most of the casts an amateur makes will in some respect be flawed. But not every cast. Even the most inexperienced anglers make a few good presentations during a day onstream. When this occurs at the right place and time, it’s possible that their fly pattern could make a difference. Given this, I think an appropriate strategy is to use a fly that fits the situation you find yourself in and then not worry about it. If there’s a Baetis hatch taking place, fish a Baetis imitation. If fish are eating hoppers, use a hopper. But don’t get carried away thinking that a specific Baetis or hopper pattern is needed. There are dozens of examples of both that will work, and the fish don’t care on which one they get caught. This doesn’t mean that there aren’t differences among flies. There are plenty of reasons to choose one pattern over another, but only from a fisherman’s point of view. 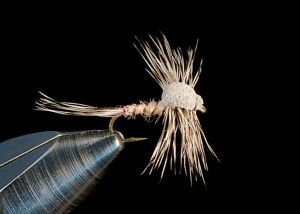 As an example, I favor a Sparkle Dun for Baetis fishing. I like it because it floats well, is readily visible and very durable. 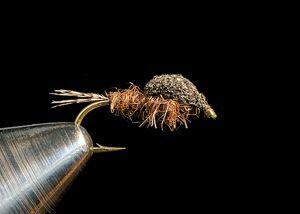 But I harbor no illusions that it’s the only pattern that will catch trout when they’re feeding on Baetis mayflies. In the end, it’s safe to say that fly pattern can matter, but not nearly as often as we think (or as we’re told). Find fly patterns that suit your fishing and fish them with the utmost care. Make your presentation count. That’s something that really does matter.